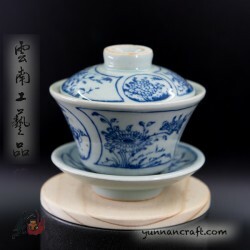 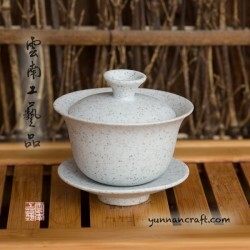 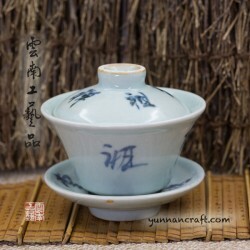 Hand made gai wan in style of cultural revolution period. 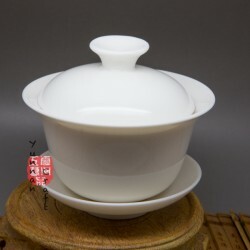 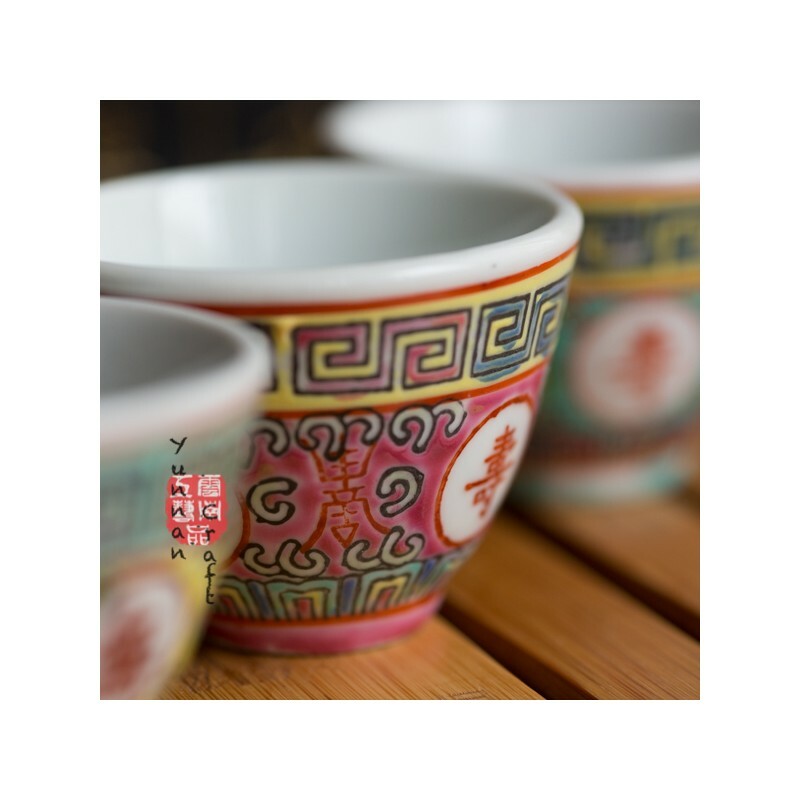 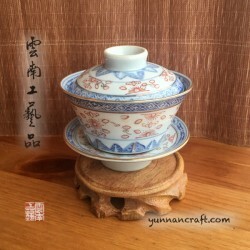 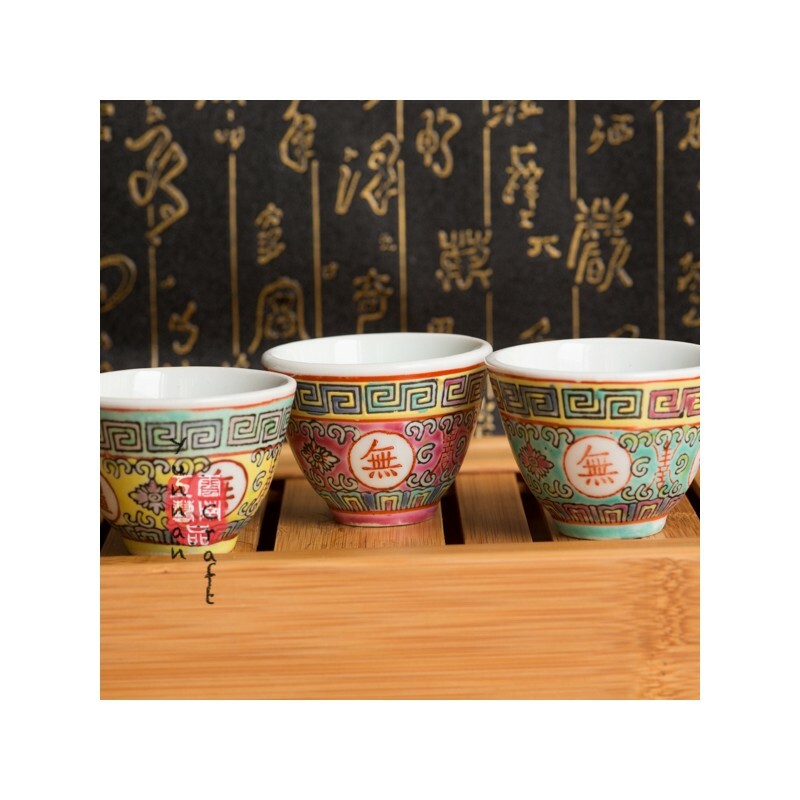 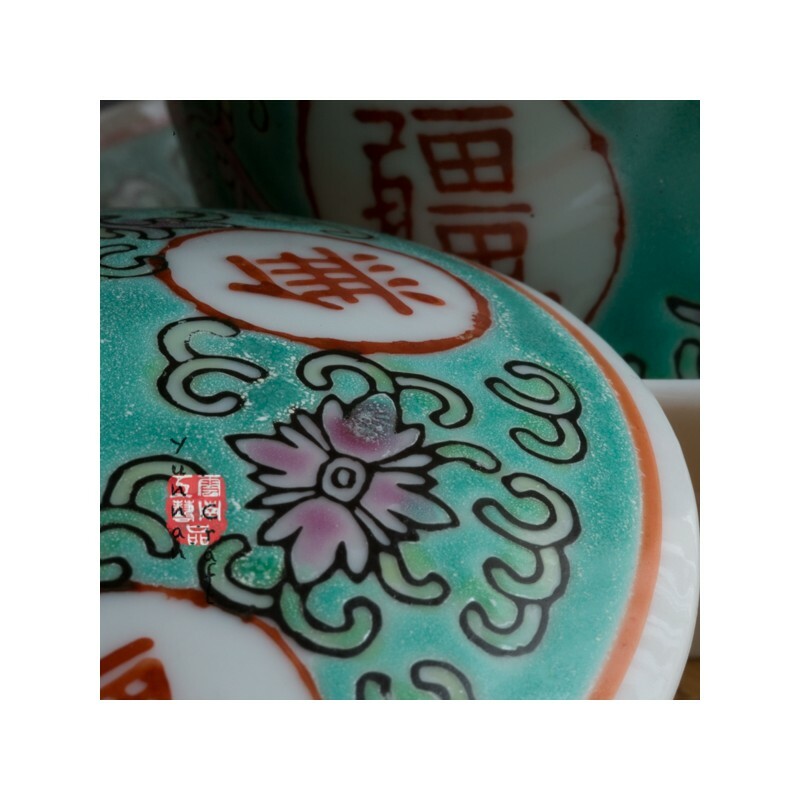 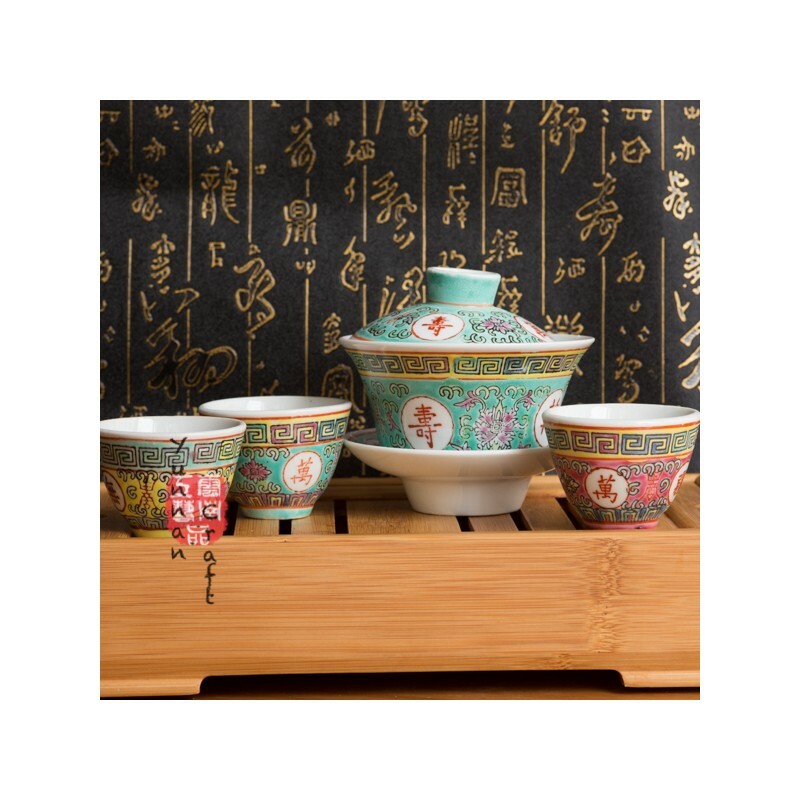 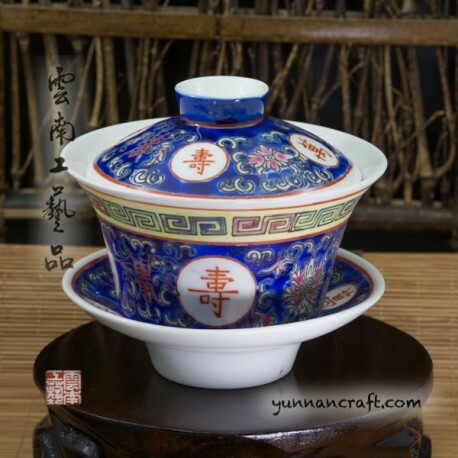 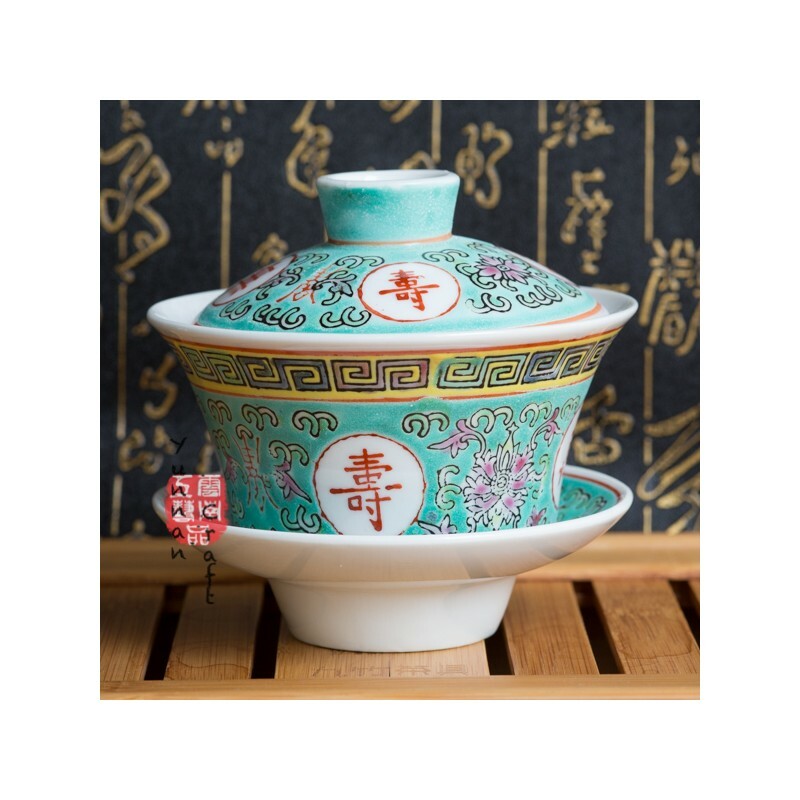 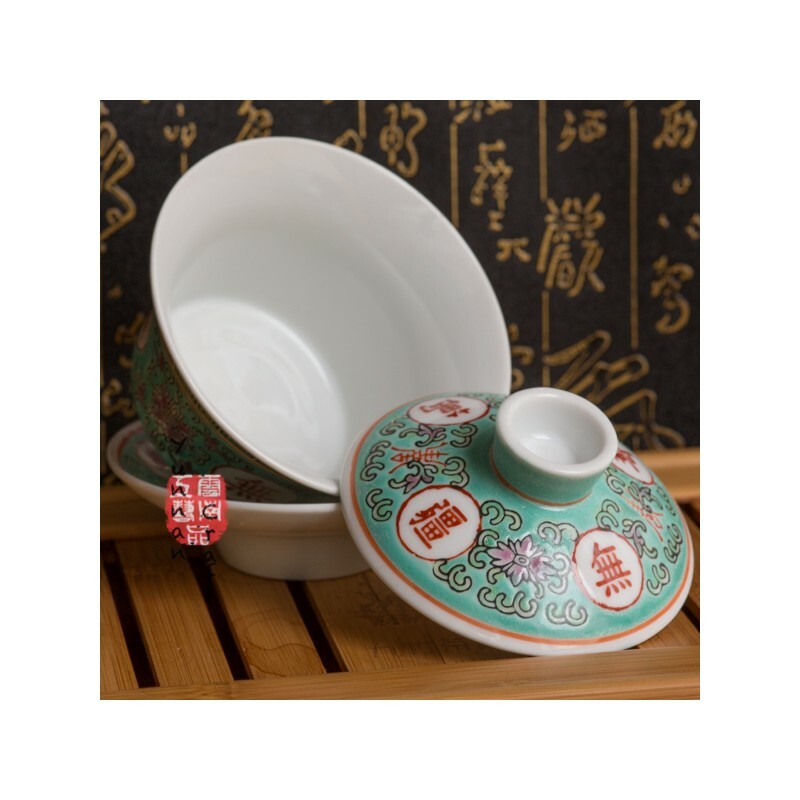 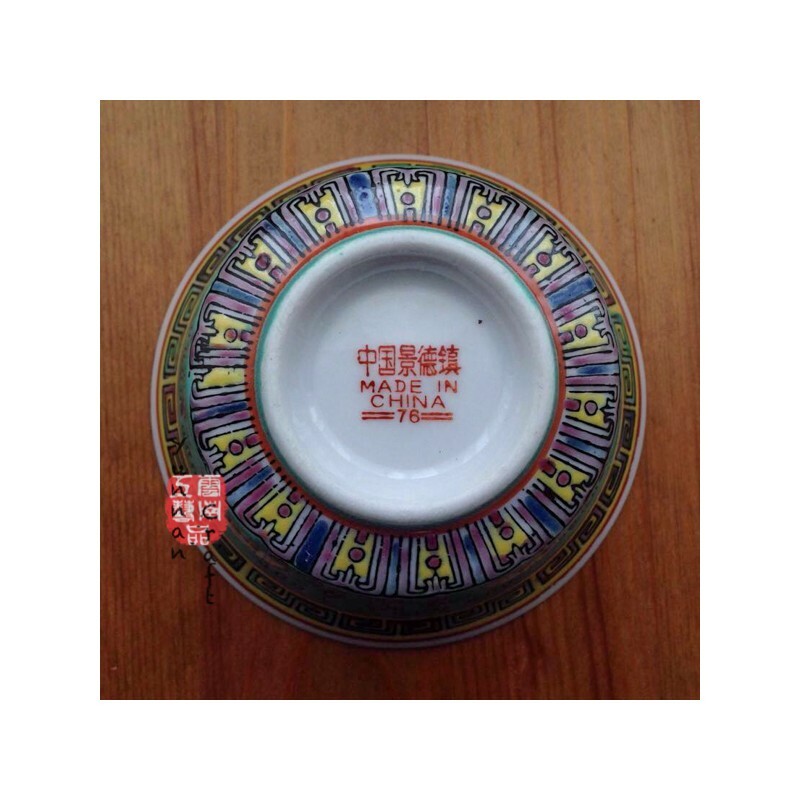 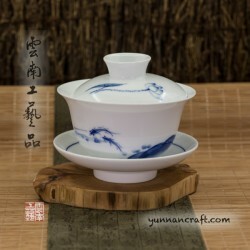 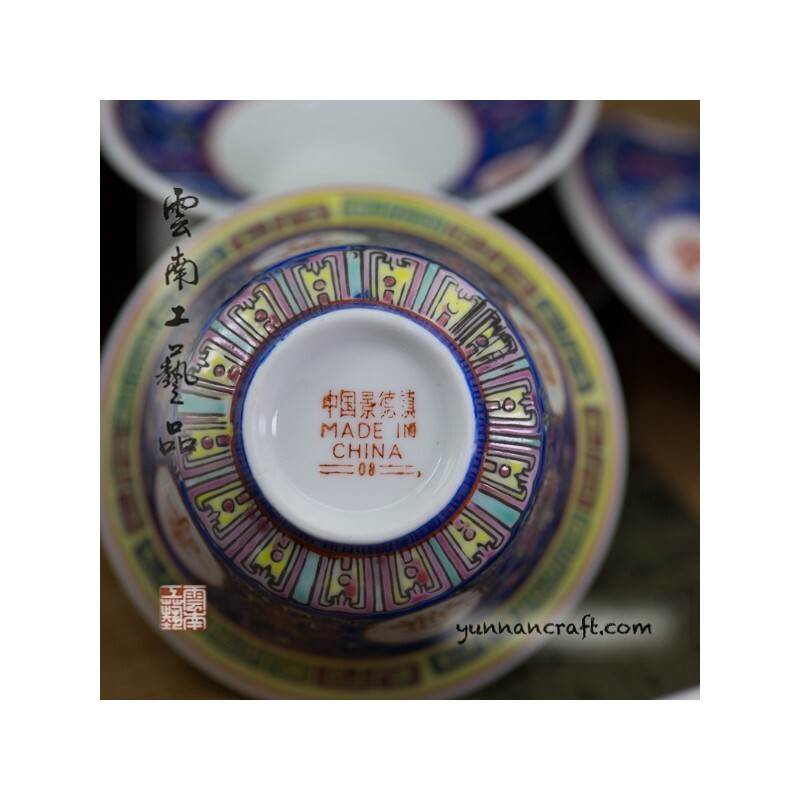 万寿无疆 (wan shou wu jiang) is an idiom and it means something like :"may you enjoy boundless longevity"
Add to cart to see reward points for this product. 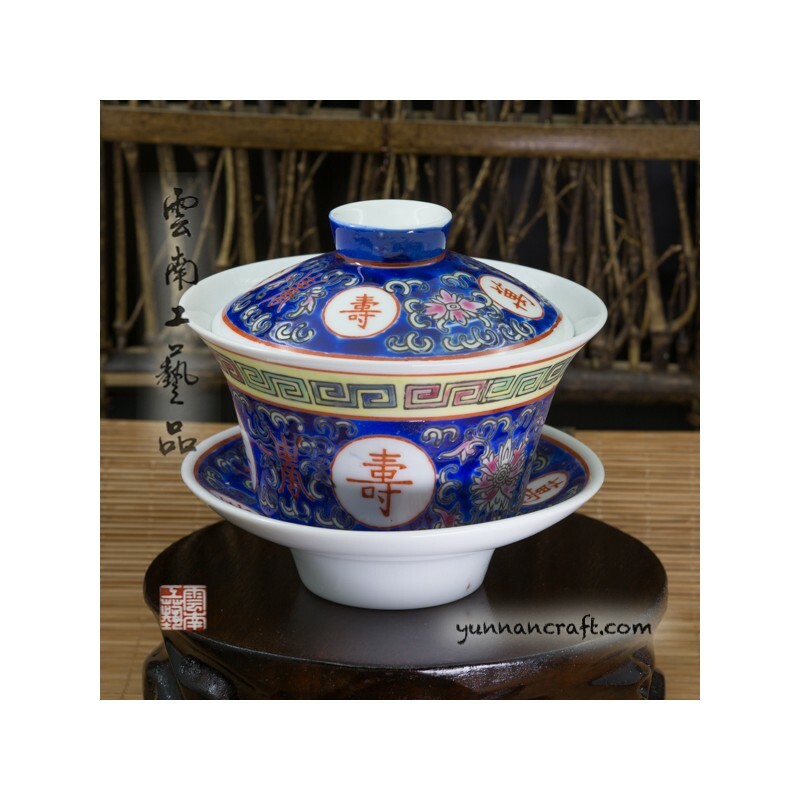 54 .. . 54 . . CNY 2.70. 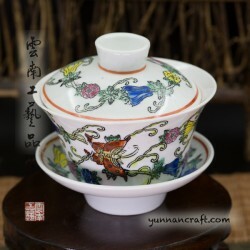 Good quality porcelain and great decorations. 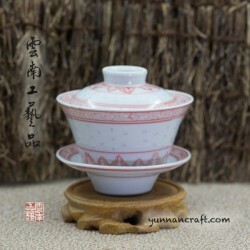 I just realized that there are the cups too with the same style....i will buy them in next order!